Sunday Classic / Do fish dream? Ah, there’s the rub, for what dreams may come in that sleep of fish? Have you ever been sight fishing to a nice fish and not gotten so much as a look at your fly? The fish just sat quietly finning as your fly drifted inches from its nose, like it was asleep. It may have been. Do fish sleep? Undoubtedly. That’s a scientific fact that is well documented. They don’t sleep like we do and, in fact, different species of fish have very different ways of sleeping. Some sleep at night, some during the day and some are nappers. Some swim while asleep and some sleep so soundly that you can hold them in your hand without waking them. Tuna, for example, rest motionless at night, suspended in the water. Bass and perch will sleep under or on top of logs. Reef fish seek refuge in crevices. Parrotfish build a cocoon of mucus in which to sleep. That sounds nasty, but maybe that’s the point. I wouldn’t eat something wrapped in mucus. Would you? Although different fishes have different sleep habits they have a lot in common. Fish don’t have eye lids so they don’t exactly get shut eye. Their muscles relax, their breathing and heart rate slow, they become to some degree immobile and less sensitive to external stimuli. They also, to some extent, lose consciousness. Fish do not live in as safe a world as we do and sleeping can be a risky proposition. For that reason most fish are never completely unconscious. Their brains sleep in shifts, resting different systems at different times. Shutting down nonessential bodily functions for periods of time. I imagine it’s much like day dreaming. Like when your brain is back on the beach in the Bahamas while your body seems to be looking over spread sheets at your desk. You’re not fully aware of your surroundings but alert enough to figure out that the sound you hear is your boss clearing his throat. But what about those dreams? I’m not aware of any scientific studies about fish dreams. I do, however, have a case for their likely existence. Bear with me, this requires a huge and very unscientific leap. Let’s assume, for the minute, that a fish’s brain has some similar wiring to our own. What is going on when we dream? The process of dreaming sorts all of that complex data, stores it, prioritizes it and clears the buffer for the next day’s experience. Without our dreams our brains cannot make sense of our experience and we cannot learn. It has been proven that sleep deprivation is the fastest rout to psychosis. We must dream. 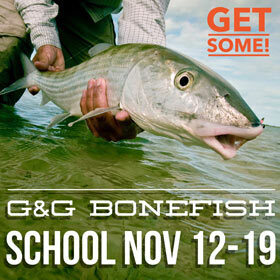 It will not be difficult to make the case to fly fisherman that fish learn. Sometimes faster than we do. An experiment at the Univercity of Oviedo in Spain proved that angelfish learn. For three weeks food was delivered to one corner of the tank in the morning and the opposite corner in the evening. With no outside stimuli like sun or tide the fish soon congregated in the appropriate corner just before the appropriate feeding time. Apparently fish not only learn but they can tell time. Experiments at the Manomet Center of Conservation Science which involved training haddock to swim through nets indicated that fish learn from watching older, more experienced fish. That’s pretty advanced learning skills. Certainly there is some data processing going on there. How is all of that data being managed if not with dreams? I have always been told that I have crazy dreams. They range from short to epic, detailed to impressionistic, blissful to horrific. Many of them involve fish. When I am stressed I have indicator dreams where I watch a strike indicator drift through the same run again and again without a strike. They can go on for hours. When times are better I go on wild fishing adventures and sometimes I am the fish. 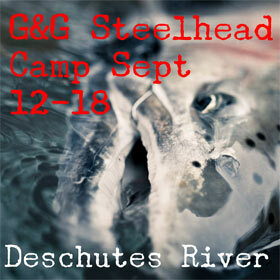 After a particularly nasty bit of dentistry I dreamed that I was a steelhead with a big hook in my jaw. The guy who hooked me had not crushed the barb and he kept wrenching and wrenching at the hook but it wouldn’t come free. I don’t know what fish dream about. Maybe they dream of the Mothers-day hatch or of shad kills. Perhaps they dream of herons or bears. Maybe they dream that they are birds soaring in the clouds. I like to think that once in a while they dream of me. 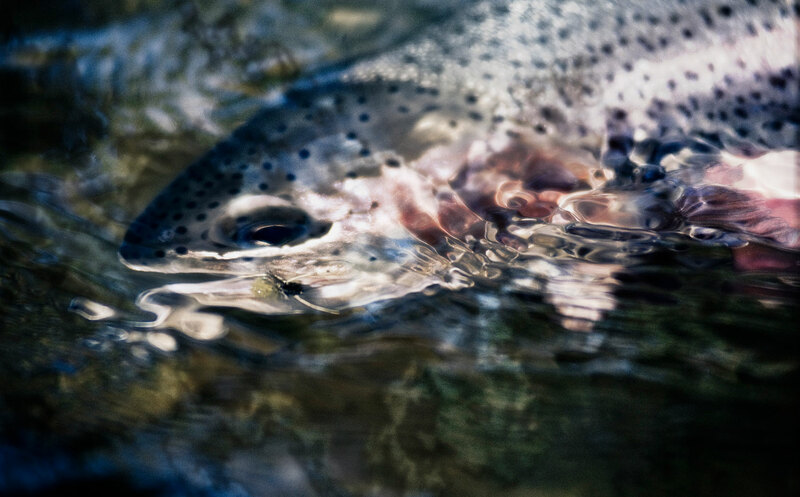 This entry was posted in The Hot Ticket, Uncategorized and tagged do fish dream, do fish learn, do fish sleep, fishing, Fly Fishing, fly fishing lessons, Fly Fishing Photography, Gink and Gasoline, how to fly fish, Kent Klewein, learn to fly fish, Louis Cahill, photography by Louis Cahill. Bookmark the permalink. Louis, my buddy and I just finished an epic day on the Criw and at having a few beers and read your post. We laughed so hard at the end, we cried!! Could be the beer! Just wanted to say we love the site, and keep up the good work. If you ever come out to Alberta and want to toss a line, let us know!! Tight lines! !